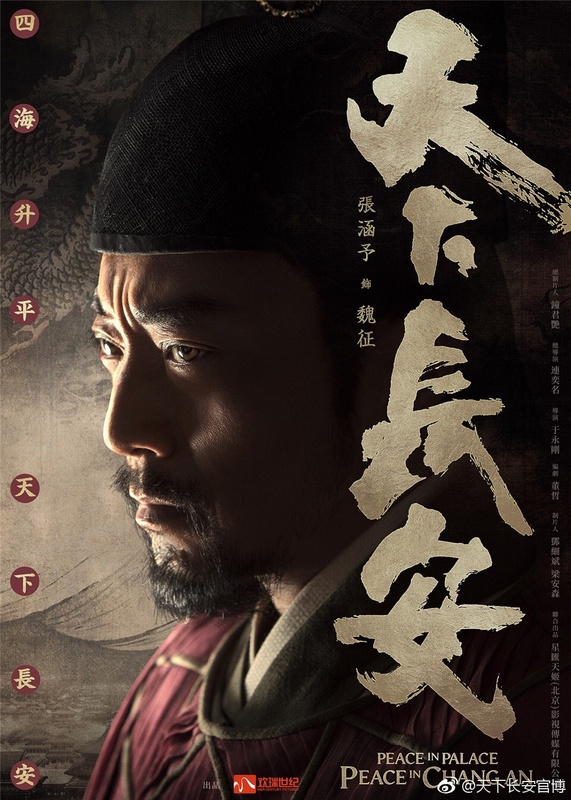 Li Shimin played a pivotal role in the battles leading up to the collapse of the Sui Dynasty, yet his father and founding Emperor Li Yuan, played by veteran actor Li Xuejian (The Young Marshal), instead created his eldest son Li Jiancheng (Han Dong) crown prince. 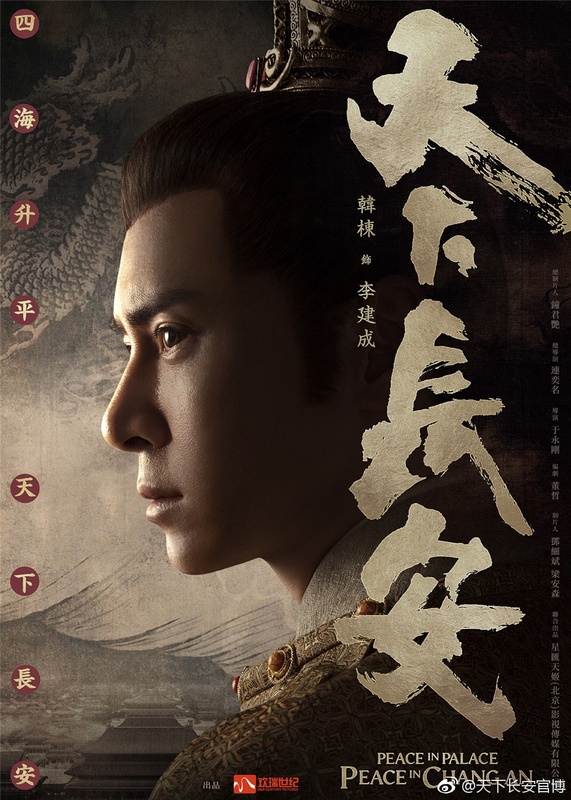 The brothers’ relationship quickly deteriorated, and Li Shimin ambushed and killed Li Jiancheng and younger brother Li Yuanji at Xuanwu Gate in 626. Wei Zheng served as advisor to Li Jiancheng during the princes’ contention for power, yet was pardoned and later promoted to the position of left (senior) chancellor after impressing Li Shimin with his honest advice and constructive criticism. He will also receive help along the way from female lead Li Mulan, played by actress Yao Xingtong (Love in the Office). 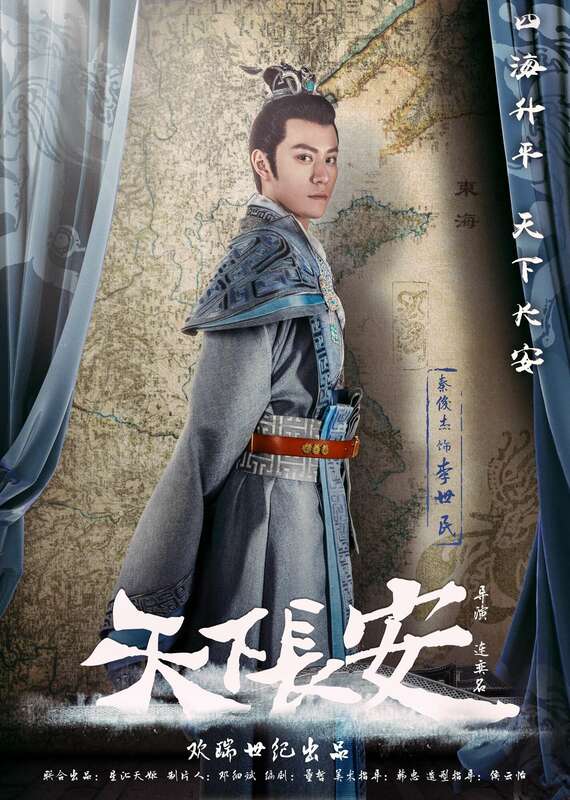 Some of Qin Junjie’s costars from Glory have also joined this drama – Shu Chang plays the virtuous Empress Zhangsun while Du Yuan and Wang Jinsong play Pei Ji and Xiao Yu respectively, both loyal advisors to Li Yuan. 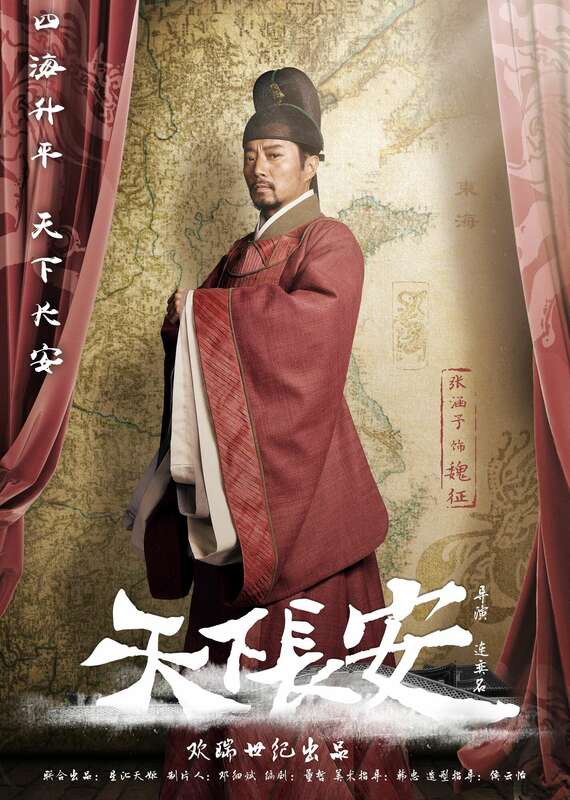 Directing is Lian Yiming (Qin Cang in TLTWTMPB), who also takes on the role of Li Mi, one of the initial rebel leaders. 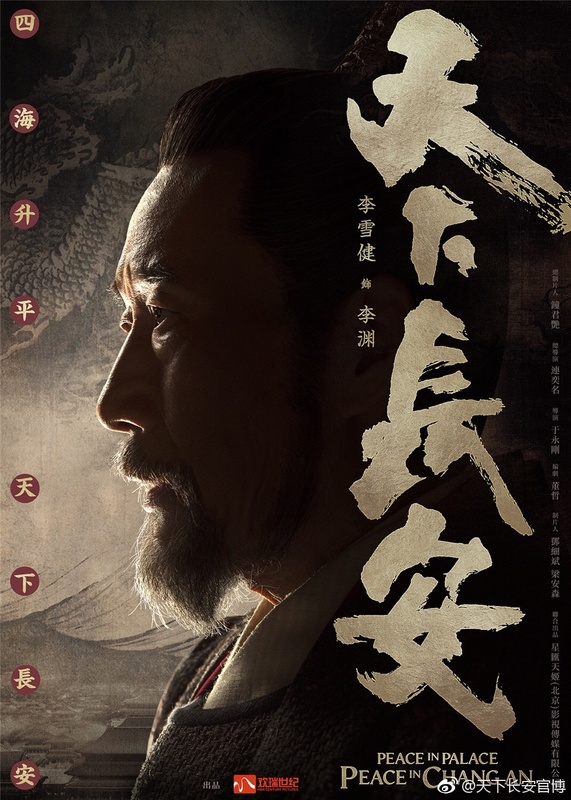 The script for this 70 episode drama is penned by Dong Zhe, who made a name for himself writing state-sponsored films The Founding of a Party and Hundred Regiments Offensive. 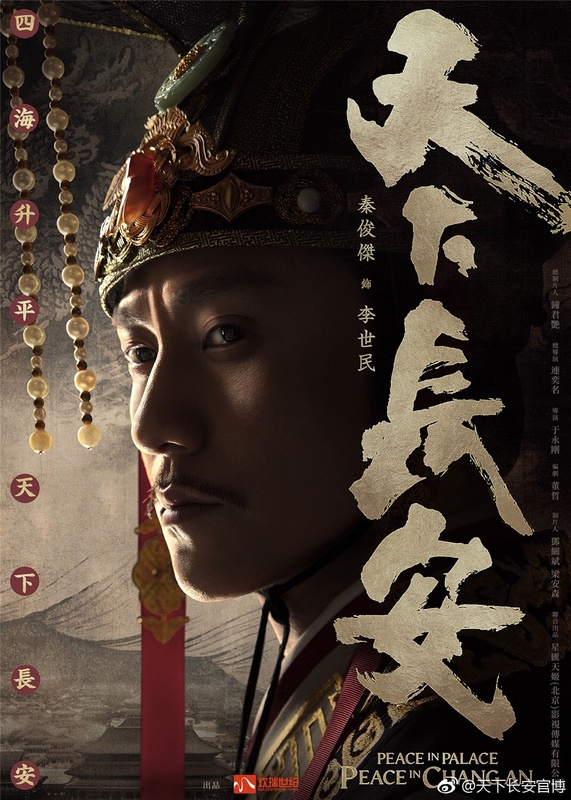 This entry was posted in Drama, Mainland China and tagged Du Yuan, Han Dong, Li Xuejian, Lian Yiming, Peace in Palace Peace in Chang'an, Qin Junjie, Shu Chang, Wang Jinsong, Yao Xingtong, Zhang Hanyu by XDramasX. Bookmark the permalink. 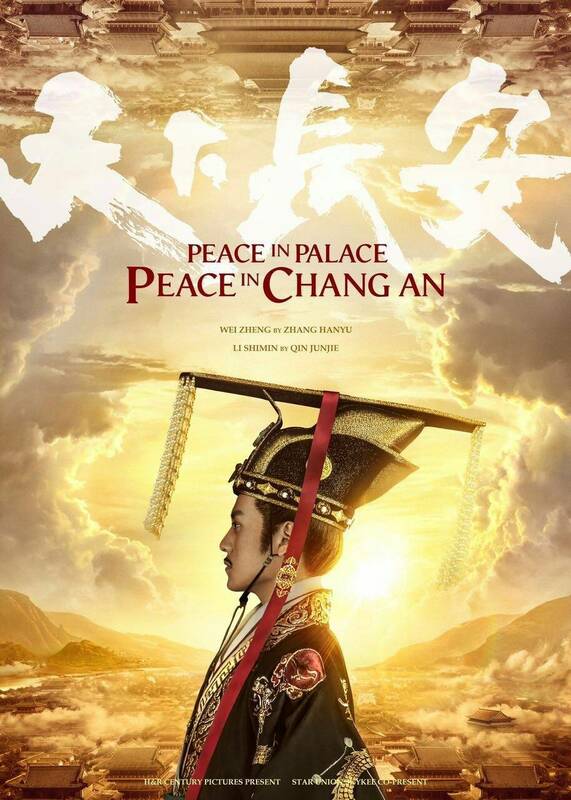 Peace in Chang’an sounds like a title that Blue Lan or Tiger Hu came up with.